In 2016, we will celebrate Thanksgiving on November 24th. This holiday signifies the start of the US “holiday season.” In 1939, the President Franklin D. Roosevelt was the first official figure who established this holiday on the national level. Since 1941, when Thanksgiving was approved by the Congress, many US citizens started to prefer this holiday over Christmas because Thanksgiving officially separated the state from church. The history of the holiday traces back to 1621 when English religious refugees from Plymouth Plantation, known as Pilgrims, invited Native Americans to celebrate the successful growing season. In winter 1620, the harvest failed, and half of the refugees had died from hunger. Luckily, local Native Americans instructed the Pilgrims how to grow beans, corn, and squash. 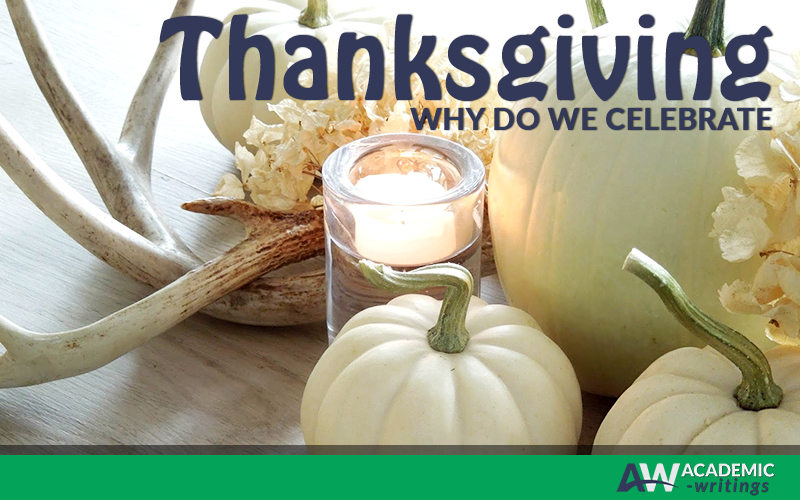 So, the holiday was first held by Pilgrims to show gratitude to Native Americans who saved their lives by teaching them how to take care of the harvest. Why is Turkey a Traditional Dish on Thanksgiving? It is widely known that turkey was not on the menu during the first Thanksgiving Day back in 1621. Pilgrims served lobster, goose, deer, and cod during three-day festival. According to the first theory, in 1621, Pilgrim Edward Winslow mentioned eating turkey for dinner in one of his letters. The second theory states that the choice of Thanksgiving’s traditional meal was influenced by Queen Elizabeth I who was eating turkey when she found out that Spanish ships failed to attack England. The queen was so happy that she asked a cook to serve another turkey. Inspired by her actions, the first US settlers also roasted turkeys. Celebrate your favorite holiday with pleasure. Tell the history of Thanksgiving to your guests when serving turkey and you will certainly be in the center of attention!